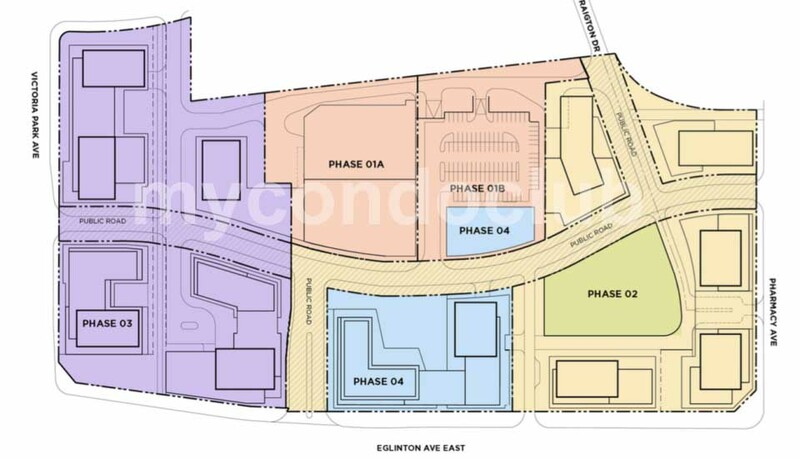 Golden Mile Condos is a new condo townhouse development at 1890 Eglinton Ave E, Scarborough ON located right at Pharmacy and Eglinton E, Toronto. The Golden Mile Condo is a redevelopment of the Golden Mile Shopping Centre. This development will have 11 buildings with 39 storeys and a total of 2,500 mixed units. 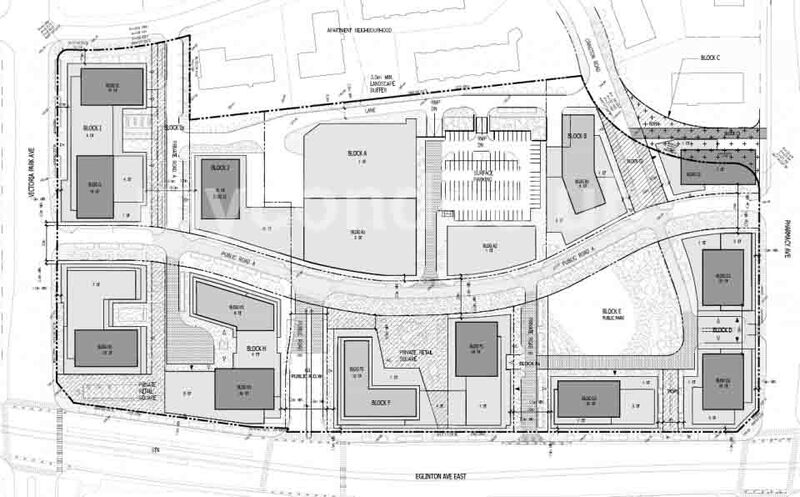 The Master-plan mixed use condo by Choice Properties REIT will have residential units, retail space and parks. Based in the Clairlea-Birchmount neighbourhood in Toronto, this condominium will have sophisticated architecture and luxury finishes. Additional amenities include a swimming pool, sauna, whirlpool, hot stone loungers, gym, yoga zone, piano lounge, tea room, kid’s splash room, kid’s play corner and Al fresco BBQ patio. The project’s total 273,428 m² GFA is composed of 242,799 m² of residential space, 25, 127 m² of retail, and 5,502 m² of office space. 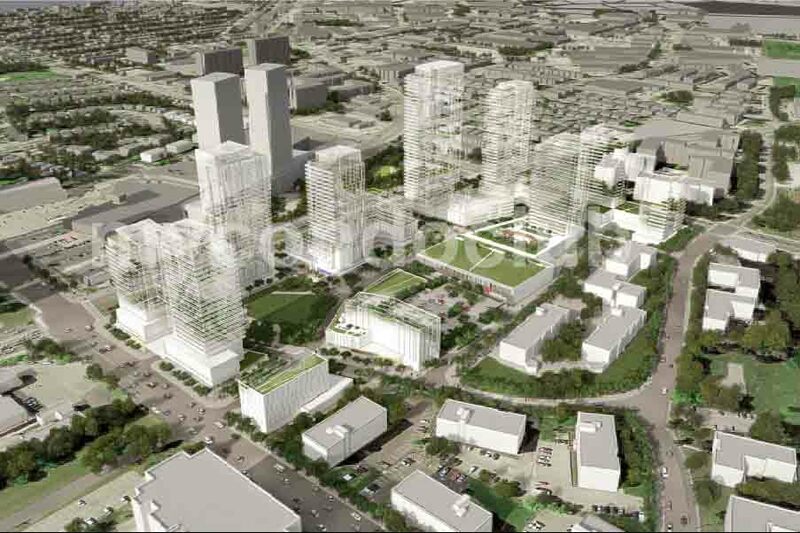 A total of 2,500 residential units are planned, the planning rationale notes that a mix of any or all of market-rate condominium, market-rate rental, affordable rental, affordable ownership, and senior housing is being considered. 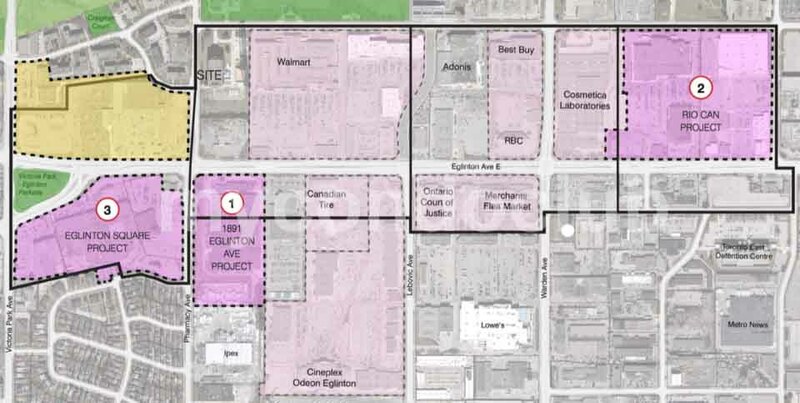 After Galleria Mall, Honest Ed’s, Eglinton Square, the Golden Mile Mall in Scarborough will be redeveloped into a condominium. Few minutes to the DVP, Warden Subway Station, Eglinton LRT at Victoria Park and short drive to Don Mills Shopping Centre from Golden Mile Condominiums. 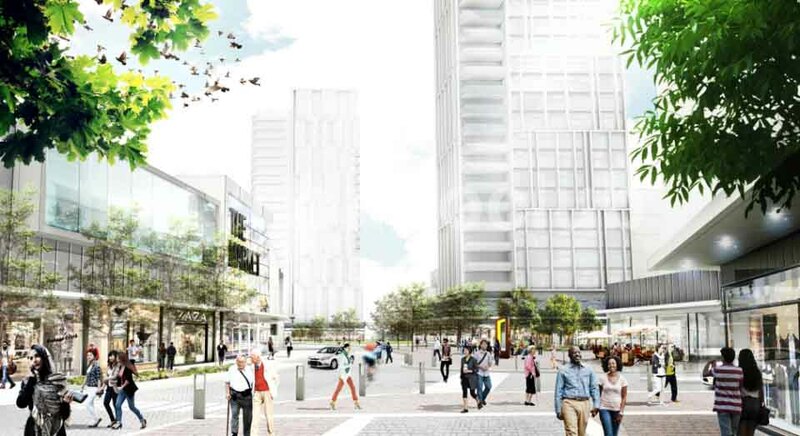 Also, minutes away are the TTC, movie theatres, banks, healthcare, community centres, schools, restaurants, supermarkets, shops in the area so close to the Golden Mile Condos. 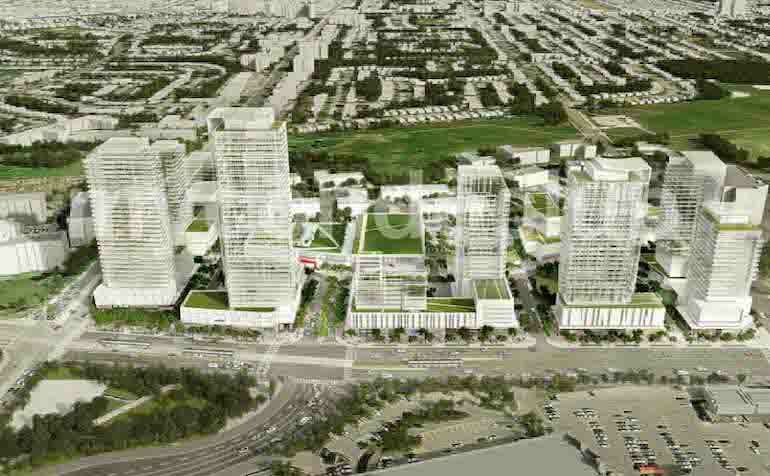 Warner Park, Edge Park and Wexford Park Scarborough are some of the parks close to the Golden Mile Condos in Toronto.